Each time I have used RankStore’s service, my traffic numbers have improved significantly. Their work is completely professionally, and I recommend them to anyone who’s looking to improve their website’s traffic numbers. 500k rank improvement in 7 days flat! Are you kidding me? This stuff is freaking awesome. This is how it works. 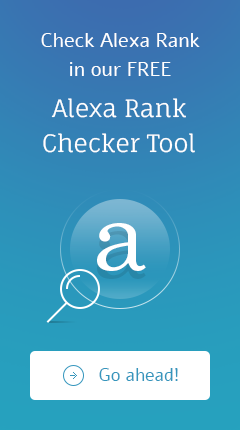 You sign up, you sit back and you watch your website’s Alexa rating improve steadily. I check it multiple times in a day and every single time, it shows an improvement from the previous statistic. I dont know how you do it but you certainly are the best guys I have done business with. Thank you for your effort! Keep up the great work.